Over the weekend of the 3rd, 4th and 5th October the Trust hosted a small-mammal trapping session by the Yorkshire Mammal Group. 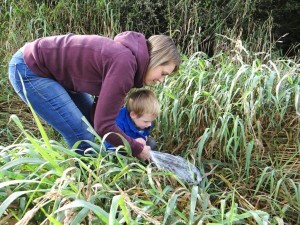 As with last October’s weekend, the target species were Water Shrew and Harvest Mouse. 50 traps were laid during each evening of the 3rd and 4th October in grassy areas alongside East Keswick Beck upstream of the East Keswick Marsh. All the traps were checked on the mornings of 4th and 5th October and although neither of the target species was trapped the total number of mammals caught was surprisingly good. 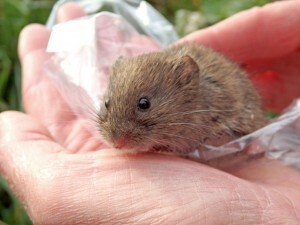 Over the two nights, 29 Wood Mice, 18 Bank Voles, 5 Field Voles and 3 Common Shrews were caught. After being weighed and sexed, all animals were safely returned, unharmed, to their point of capture. To see the Harvest Mouse that was caught last year, please scan down to view the post from October 2013.